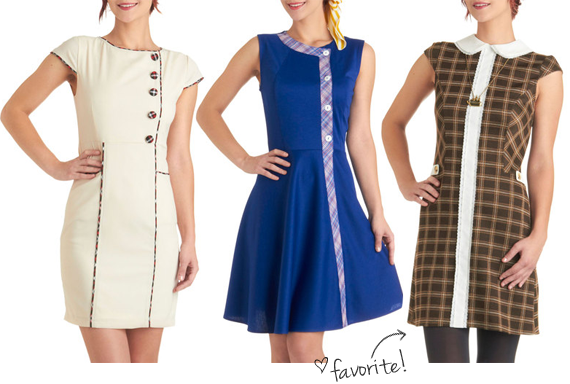 A couple of weeks ago, ModCloth sent over images of some seriously adorable dresses (see above!) 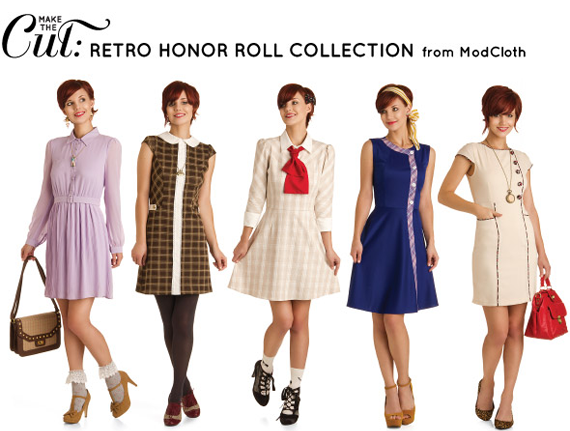 to their blogger partners, along with some info and sneak peeks of their new Retro Honor Roll collection. I've been drooling over these items ever since, and am so excited to announce that the collection will be officially available on the ModCloth website... starting right now! One of my favorite parts of this collection is the fact that it is the result of a contest Modcloth held back in April called 'Make the Cut.' 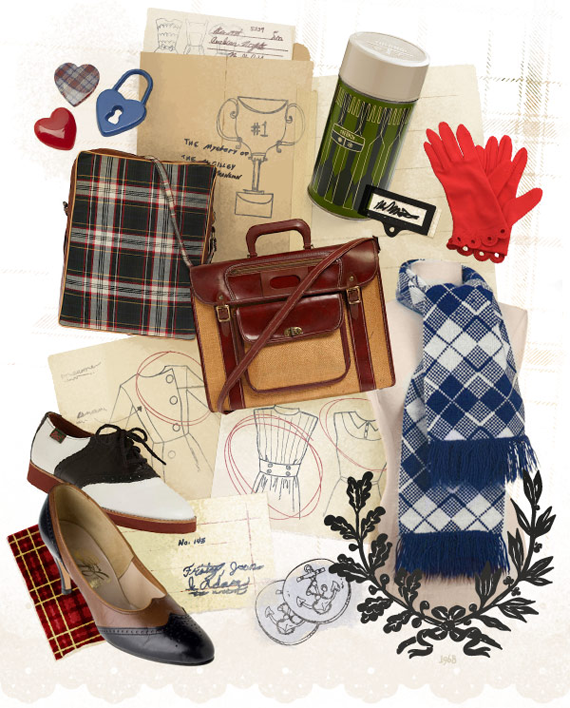 Using the image above as inspiration, aspiring designers could submit sketches of creative, wearable styles with a 1960's back-to-school feel. I would have been over the moon for an opportunity like this back when I was first starting out as a designer! And I have to say that I am majorly impressed by the winners. As soon as I hit submit on this post, I plan on heading directly over to ModCloth to pick out one of these gorgeous dresses before they're all gone. What do you guys think of this new collection? Which design is your favorite? i love the blue one! theyre all super cute.